About Doug Lee, an overweight 15-year-old that gets turned into a vampire on accident. Not only is he stuck being an ugly teen forever, but he isnât having luck finding anyone to feed on either and is stuck draining cows of their blood. Not exactly your gorgeous vampire story, huh? Coming out July 27, 2010. A young adult novel about Anastasija Parker, a girl who learns on her 16th birthday that her father is a vampire king. He wants Ana to assume her rightful position at his side, in spite of the fact that she has witch’s blood running through her veins-from her mother’s side. Unfortunately, witches and vampires are mortal enemies. Coming out August 3, 2010. 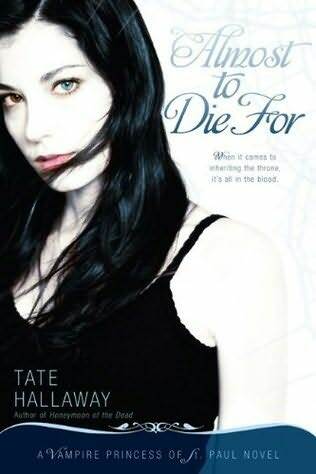 A book for the horror fans out there that are sick of emo romantic vampires. In this apocalyptic tale the U.S. is steadily losing the war on terror, and the future of humanity falls into the hands of a young girl. Six-year-old Amy Harper Bellafonte and her protector, FBI agent Brad Wolgast, are at the center of a battle to preserve the human species after a government military experiment to create a âsuper-soldierâ goes awry. Using an exotic virus found deep in the South American jungle, scientistsÂ discovered that it has the ability to bestow vast strength and instantaneous healing abilities on humans, with one serious side effect: it turns its victims into bloodthirsty (literally) monsters. Coming out June 8, 2010. A historical novel about Henry Tudor and the deal he made with the Druids binding him and his heirs to the Druidâ fight against vampires. Ever since, the Llewellyns, a vampire- slaying family, have been in the king’s employ. Now Henry VIII reigns, and his father’s bargain has been almost forgotten-until bloodless corpses turn up in the king’s bedchamber. Coming out August 3, 2010. So fang-fans, which book are you most excited to pick up? Since I love Tudor history I’m looking forward to Kiss of the Rose, it’ll be interesting to see how the legendary Henry VIII mixes with vampires. New relase, “Ascent of the Immortal,” by Ann Marie Knapp coming out November 1st, is immediately available for download on Kindle.